An application for adjustment of status will not be approved if an applicant does not present a valid I693 form, medical exam. The medical exam itself is a pretty basic examination of one’s health condition, and even if a person has certain health issues, there is a waiver available. But what is hard is to comply correctly with constantly changing requirements for the form submission. Starting November 1, 2018, all forms I 693 will be valid only if the doctors signed them within 60 days of the submission of the form to USCIS and USCIS adjudicated the case within 2 years of the signature. Note: the form I693 does not have to be filed together with the AOS package. It can be brought to the interview or submitted after a request for more evidence. The civil surgeon signs Form I-693 more than 60 days before the applicant files the underlying benefit application with USCIS, but the applicant submits Form I-693 to USCIS no more than one year after the civil surgeon signed Form I-693; and USCIS issues a decision on the underlying benefit application no more than one year after the date the applicant submitted Form I-693 to USCIS. The civil surgeon signs Form I-693 no more than 60 days before the applicant files the underlying benefit application with USCIS; and USCIS issues a decision on the underlying benefit application no more than two years after the date of the civil surgeon’s signature. The civil surgeon signs Form I-693, and the applicant submits Form I-693, after the applicant files the benefit application with USCIS; and USCIS issues a decision on the underlying benefit application no more than two years after the date of the civil surgeon’s signature. In all cases, a Form I-693 submitted to USCIS more than one year after the date of the civil surgeon’s signature is insufficient for evidentiary purposes as of the time of its submission to USCIS. The best practice is to obtain the form at the interview: since the notice for the interview comes early (about a month before the interview), it is usually enough time to obtain the form and bring to the interview. DACA was restored….not so fast. On August 17, 2018 the same court that previously ordered to restore the program fully, including the part of it that used to provide advance parole was again stayed by the same court. NAACP v. Trump, 8/17/18. What happened was that the government decided to appeal Court’s August 3rd order regarding the full restoration of the program, and filed a motion to clarify the order and motion to stay. The Plaintiffs in the case agreed that the stay will be appropriate with regard to the new applications, hence the stay was granted. It means that those who hold DACA cards that are expiring will be able to file the renewal applications, but no new applications and no applications for advance parole will be accepted. The day after an immigration judge ordered the alien excluded, deported or removed (whether or not the decision is appealed). The day after an immigration judge orders the alien excluded, deported, or removed (whether or not the decision is appealed). Significantly, nonimmigrants who are not issued a Form I-94, Arrival/Departure Record, are treated as nonimmigrants admitted for D/S (as addressed in Chapter 40.9.2(b)(1)(E)(ii)) for purposes of determining unlawful presence. Trump, as promised, signed an Executive Order stopping Family separation on the Southern Border. 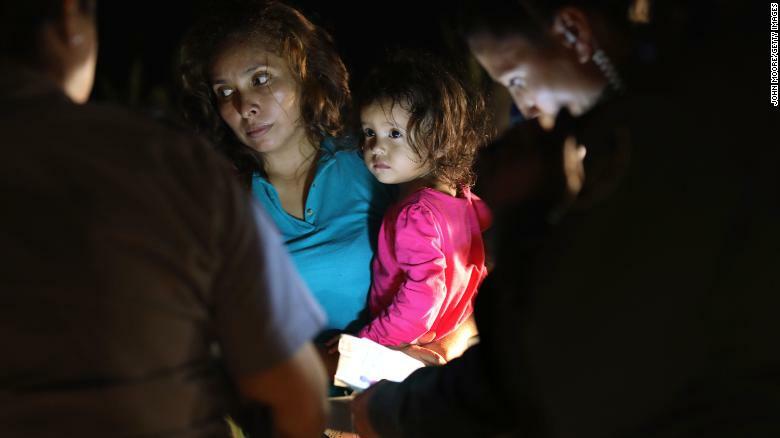 The Order, however, protects families from separation for 20 days only. In addition, the “zero tolerance” policy stays in place. The order directs other agencies, including the Pentagon, to take steps to find places to house family units. The order specifies that migrants entering the US with children will not be kept together if there’s a fear for the child’s welfare. Families will also be prioritized in the adjudication process. It is anticipated that the order will be challenged. It presents a new ground to challenge prolonged family detention. Major changes are coming to the Immigration filed and how the laws are implemented. For almost two decades, students admitted on F, J, and M programs were admitted for Duration of Status (D/S) and were not acquiring unlawful presence if they overstayed their visas unless an Immigration Judge or a DHS made a determination that their status was terminated. Previously, for example, a J1 student who came on a Work and Travel program and overstayed her visa, would not face the 3/10 year unlawful presence bars if she later left the US and applied for, let’s say an Immigrant visa. The amount of time that was overstayed would not matter. Now, however, DHS made it clear, that even those admitted for Duration of Status will be accumulating the unlawful presence time after their authorized stay expires (stay including the authorized periods that are grunted to students after the expiration of their programs which is 60 days for F students and 30 days for J students). It means that those who overstay their student visas, dispte the D/S admission will face 3/10 unlawful presence bars and will have to take this into consideration when making decisions about applying for reinstatement, changing status or returning back home. A person who is subject to an unlawful presence bar must receive a waiver to come back to the US before the ban expires. The new calculation of unlawful presence will come into effect on August 9, 2018. Prior to this date, the old rule is in effect. Sad news came today from USCIS: the agency announced that it will start physically destroying documents green card, employment authorizations and travel documents that were marked as “undeliverable” if within 60 days the beneficiary did not contact USCIS. In my practice, I at times, get notices from USCIS that the documents it was to deliver to my office somehow were “undeliverable.” I am not sure where the confusion comes from: from the post office itself or incorrect spelling of addresses, but it does happen. Imagine also, a person after an interview is told that USCIS will make a decision within 90 days. A person does not expect the green card to arrive earlier than 90 days. A person may not even know that USCIS tried to deliver his/her green card and does not contact USCIS within 60 days…. I just do not see how this new practice will make life easier for anyone. I cannot imagine that anyone who spent time and money on Immigration documents would intentionally fail to contact USCIS within two months period. If people would miss the 60 days deadline, it is likely because they had no clue that the document was attempted to be mailed to them. Now, on top of waiting for the document, they will find an unpleasant surprise: their documents will be destroyed and they will have to file for the replacement…. A provisional I 601A waiver waives the unlawful presence bar for those who have certain LPR or USC relatives in the US. An unlawful presence bar applies to all who accumulated unlawful presence in the US, left the US, and now are applying for Immigration benefits from outside the US. The positive side of this waiver is that unlike many waivers that can be filed only once the person departed the country, I601A can be filed for while the person is still in the US; and second, recently US relaxed the standard for granting the waiver, and now, the person can win the waiver either by providing that the relative will not be able to move with him/her outside the US (will suffer extreme hardship in case of a move) or that the relative will have extreme hardship in case the immigrant is removed out of the US. A person who is planning on filing for the waiver has to have an approved immigrant petition. It can be I 130, I 140, or even a selection in the DV lottery. Submitting I 601A to USCIS with a filing fee and supporting documents. Once the waiver is accepted by USCIS, the clock in the NVC is stopped. Once the waiver is approved, USCIS informs NVC about the approval, the applicant has to submit DS 260 immigrant visa form and supporting documents for the visa. Then he/she has to wait for the visa interview; schedule the medical exam overseas and plan for the departure. An applicant will have to travel overseas for their visa interview. A consulate will use an immigrant visa that will be stamped in the passport. Upon arrival to the US, the applicant will have the actual “green card” mailed to the address they left on file with USCIS. These are the most common steps for those who have never been in court and do not have other inadmissibility issues. People say that where there are two lawyers, there are three opinions. And there is a good reason for it. The Immigration law, perhaps, is one of those areas of law where nothing is set in stone, and various courts provide various results in similar situations. In a recent case coming from the Seventh Circuit Court of Appeals, the Court decided that 237(h) waiver: the only waiver that may be available in marriage fraud cases, may be applied for not only when the fraud was committed at the time of entry. The Court stated that if the charge of removability is related to fraud, then 237(h) waiver can be applied for! I have to say that when I was reading the decision, I was curious how a man received a green card in the US not once, but twice, and each time it was a “problematic” application, when there are very convincing cases of people who are waiting for the decisions on I 751 for years. Once you keep reading the decision, you will see that this man had a very sympathetic situation after all, but, of course, the misrepresentation part of his testimony where he “forgot” that he was married to someone else can be excused in only very, very “sympathetic” circumstances. National interest waiver is an immigration tool that allows certain qualified individuals to sponsor themselves for a US green card without the need for an employer sponsorship and without labor certification. Subparagraph (A) of section 203(b)(2) of the Act makes immigrant visas available to “qualified immigrants who are members of the professions holding advanced degrees or their equivalent or who because of their exceptional ability in the sciences, arts, or business, will substantially benefit prospectively the national economy, cultural or educational interests, or welfare of the United States.” Under subparagraph (A), immigrant visas are available to such individuals only if their “services in the sciences, arts, professions, or business are sought by an employer in the United States.” Under subparagraph (B) of section 203(b)(2), however, the Secretary of Homeland Security may waive the requirement of a “job offer” (namely, that the beneficiary’s services are sought by a U.S. employer) and, under the applicable regulations, of “a labor certification.” 8 C.F.R. § 204.5(k)(4)(ii). In short, national interests waiver is just that: it is a confirmation issued by USCIS that an applicant’s qualifications and proposed work in the US will be in the US’ interests. Over the years, the authorities developed “standards” on how to consider the applications in order to determine if a person meets the requirements. See section 203(b)(2)(B)(i) of the Immigration and Nationality Act, 8 U.S.C. § 1153(b)(2)(B)(i) (2012). Until recently, the leading case on point was Matter of New York State Dep’t of Transp. (“NYSDOT”), 22 I&N Dec. 215 (Acting Assoc. Comm’r 1998). The NYSDOT framework looks first to see if a petitioner has shown that the area of employment is of “substantial intrinsic merit.” Id. at 217. Next, a petitioner must establish that any proposed benefit from the individual’s endeavors will be “national in scope.” Id. Finally, the petitioner must demonstrate that the national interest would be adversely affected if a labor certification were required for the foreign national. Id. Now, however, the standard was changed and became more relaxed, see Matter of Dhanasar, 26 I&N Dec. 884 (AAO 2016). This precedent decision means that USCIS may grant a national interest waiver if the petitioner demonstrates: (1) that the foreign national’s proposed endeavor has both substantial merit and national importance; (2) that he or she is well positioned to advance the proposed endeavor; and (3) that, on balance, it would be beneficial to the United States to waive the requirement of a job offer and thus of a labor certification. It the third part of the test that was significantly allowing many to obtain the waiver easier. A typical applicant for a NIW would be a researcher, professor, or an engineer. There is a special exception for physicians. (The USCIS has set forth the following seven factors which may be considered in defining national interest: Would one’s employment (1) improve the U.S. economy, (2) improve the wages and working conditions of U.S. workers, (3) improve education and training programs for U.S. children and under-qualified workers, (4) improve health care, (5) provide more affordable housing for young and/or older poorer U.S. residents, (6) improve the environment and make more productive use of natural resources, or (7) did you come to the U.S. at the request of a U.S. Government agency?). Cancellation of Removal is an often overlooked form of relief from deportation. It also may be used by someone who has been in the U.S. for a long time without inspection or admission to receive a green card in the U.S. In the last case scenario, a person first would have to ask the U.S. government to place him/her into removal proceedings and only then he/she will have a chance to apply for cancellation. Cancellation of removal as a form of relief may be of several “kinds” : for permanent residents, for non-permanent residents; for VAWA beneficiaries; for certain persons covered by the Nicaraguan Adjustment and Central American Relief Act of 1997. Each “kind” requires that certain qualifications be met. One of the common “features” of this form of relief, is that an applicant has to accumulate certain amount of time in the U.S. This time usually runs from the person’s entry into the US, and can be stopped not only due to a departure, but due to certain events that have legal consequences. For example: an arrest or commitment of a crime by the applicant or service of removal/deportation documents. Unfortunately for the applicants, many Circuit Federal courts held that the Notice to appear served on the applicant does not have to have all the specifics in order to alert the applicant that the government is initiating removal proceedings against him/her, and even an incomplete notice will nevertheless stop the cancellation or removal clock. See Guaman-Yuqui v. Lynch, 786 F.3d 235, 238–40 (2d Cir. 2015) (per curiam); Gonzalez- Garcia v. Holder, 770 F.3d 431, 433–35 (6th Cir. 2014); Yi Di Wang v. Holder, 759 F.3d 670, 673–75 (7th Cir. 2014); Urbina v. Holder, 745 F.3d 736, 739–40 (4th Cir. 2014). However, there remain one “loophole” out of this catastrophe. If the government agrees to retract the notice, then the “time” can be saved. However, this requires government cooperation and discretion. The BIA held that a notice to appear (NTA) that was served but never resulted in removal proceedings does not have “stop-time” effect for purposes of establishing eligibility for cancellation of removal pursuant to section 240A(d)(1) of the INA. Matter of Ordaz, 26 I&N Dec. 637 (BIA 2015).